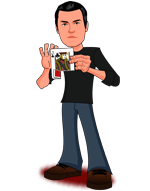 Today, when you order "Deception Part 1 By Dave Forrest", you'll instantly be emailed a Penguin Magic gift certificate. You can spend it on anything you like at Penguin, just like cash. Just complete your order as normal, and within seconds you'll get an email with your gift certificate. 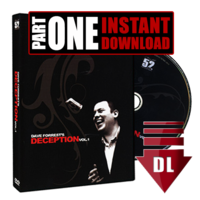 Deception Part 1 By Dave Forrest (Instant Download) Six killer close-up effects! 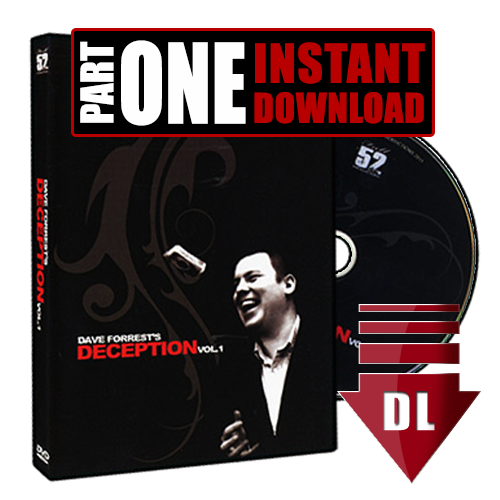 Dave Forrest's ‘DECEPTION’ Part 1 is quite literally bursting with ingenious concepts, astonishing routines, devious moves and diabolical gaffs!